The Group Invitation feature is not available yet. WhatsApp is working in order to add this feature, adding new improvements in the next updates. It’s not available yet for development reasons and the feature needs to get many other improvements before to be enabled for everyone. For this reason, it’s ok if you have updated your WhatsApp version and it’s not working for you seen that the feature is under development. Details about the iOS beta program are available here, and the program is available now! You can check out our TestFlight Page to daily check availability for new WhatsApp beta slots and to accept invites for other iOS beta apps! If you want to be alerted with push notifications, when a new slot for testing WhatsApp beta for iOS is available, you can consider to join our Discord: you will receive a push notification when a new slot is available. I’m publishing iOS screenshots, but the feature will be available for Android as well. Yes, it’s really happening! Many months ago, as announced on Twitter, we talked about a new hidden server Privacy Settings for Enterprises, that prevented them to be added in groups. I also wrote an article about this feature. This action was highly necessary, because many users were used to add them in groups without their permission. 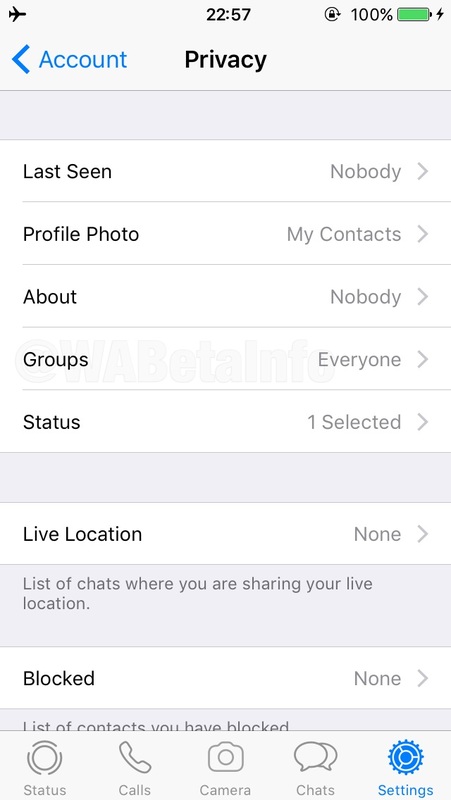 Surprisingly, WhatsApp has decided to extend this feature for any user, having WhatsApp Messenger and WhatsApp Business, adding the Group Invitation feature. It’s something that everyone wanted for years! The feature is not available yet, as mentioned above, but it will be enabled in the next iOS beta updates, so be sure to always use the latest beta available! As you can see in this screenshot, when the administrator is not able to add us, we will receive a request to join, using an invitation system. Everyone: the user can be always added in groups. No invites will be received. My Contacts: the user can be always added in groups from his contacts. He will receive an invite to join a group from people not in his contacts list. Nobody: the user cannot be directly added in groups, in any situation. He will receive a request everytime someone wants to add him in a group. When the admin isn’t able to add you, invitation will be sent privately (you can read all invitations in Group Info). That’s incredible, is it? You can accept the invite within 72 hours, otherwise it will expire and you won’t be able to join the group. You will have to wait for a new invitation or you can use a group invite link. Note that you won’t be able to receive two invitations from the same group at the same time. In my opinion, “Nobody” is the best privacy option to select, so you will receive a request in any situation! 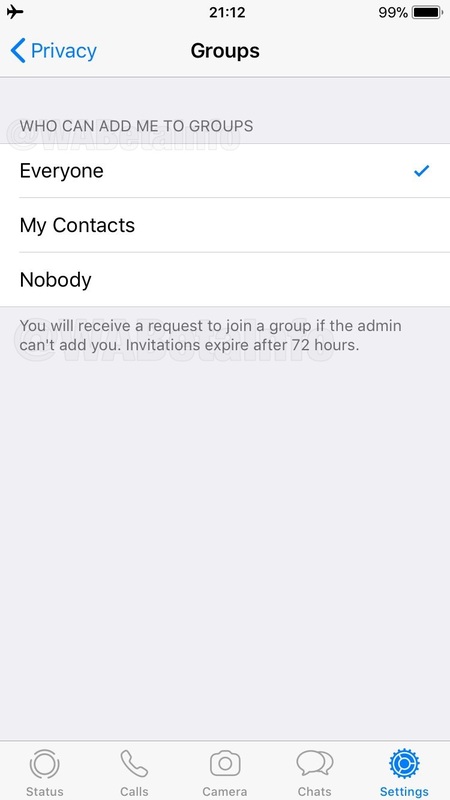 Nobody will be able to add you in groups without your permission, so you can always accept or decline the invitation. Note that you will continue to be able to join a group using a group link invite, regardless the selected privacy option. As mentioned in our important notice, the feature is not available now for development reasons, and it will be enabled in future for both Android and iOS users. Previous PostPrevious WhatsApp beta for Android 2.19.45: what’s new? Next PostNext WhatsApp beta for Android 2.19.47: what’s new?